To recognize and encourage outstanding contributions to research in organic chemistry defined in its broadest sense. The award consists of a medallion and a replica, a certificate, and $25,000. The award will be presented biennially in odd-numbered years at the ACS National Meeting. The recipient shall deliver a lecture at the Biennial National Organic Chemistry Symposium of the American Chemical Society National Meeting and Symposium. The travel expenses to the Symposium will be paid. The award was established in 1959 by Organic Syntheses, Inc. and Organic Reactions, Inc., and is sponsored by those organizations and the Division of Organic Chemistry of the American Chemical Society. The first award was made in 1959. The award is granted to an individual without regard to nationality for outstanding contributions to research in organic chemistry defined in its broadest sense. Roger Adams was born in Boston on January 2, 1889. He graduated from Harvard with an A.B. in 1908 with a major in chemistry. Adams went on to pursue his Ph.D. at Radcliffe where he initially worked with H. A. Torrey whose premature death in 1910 caused Adams to seek help from several other faculty to complete his thesis in 1912. He subsequently was awarded a traveling fellowship which allowed him to move to Berlin to work with Fisher and Diels then with Willstãtter. Adams returned to Harvard in 1913 as research assistant to C. L. Jackson and shortly undertook the duties of instructor in chemistry. In 1916, Adams joined the University of Illinois Chemistry Department as an assistant professor. At Illinois, Adams pursued research on the preparation of local anesthetics. Adams was drawn into research for the army in 1917 and spent the last few months of 1918 in uniform as a major. After the World War, Adams focused on catalytic hydrogenation (Adams catalyst-discovered by an excellent example of serendipity), local anesthetics, synthesis of naturally occurring compounds, and the stereochemistry of compounds with restricted rotation and of deuterium compounds. His contributions to the foundation of how graduate chemistry are carried out is noteworthy. One example, of his efforts includes that, in 1954, he designed the program for the Sloan Foundation that gives unrestricted grants to promising young professors. Adams also helped start the Organic Syntheses series including serving as Editor for Volumes 1 and 8. In 1942, the Organic Reactions series was initiated and Adams served as Editor-in-Chief for 19 years. He served as personal research director for 198 Illinois Ph.D. recipients. 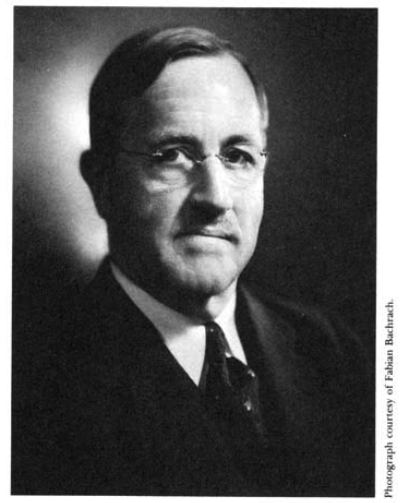 He served as the Chair of the ACS, Division of Organic Chemistry in 1921 and as ACS president in 1935. He retired as a research professor in 1957 and he Died July 6. 1971 at the age of 81 after a short illness. 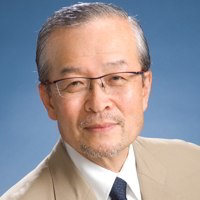 Professor Hisashi Yamamoto, Chubu University, Japan and The University of Chicago has been named as the recepient of the 2017 Roger Adams Award. The award address will be given at the 45th National Organic Chemistry Symposium (NOS) to be held on Sunday, June 25 to Thursday, June 29, 2017 on the campus of the niversity of California, Davis. 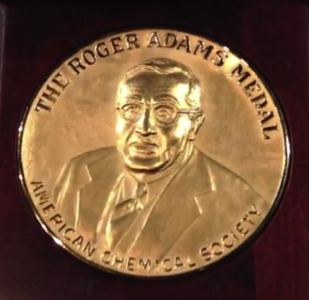 The Roger Adams Award in Organic Chemistry is sponsored by Organic Reactions, Inc. and Organic Syntheses, Inc.